We’d love your help. Let us know what’s wrong with this preview of Akea - The Power of Destiny by Elizabeth Jade. To ask other readers questions about Akea - The Power of Destiny, please sign up. Elizabeth, will you please write more? Akea is a beautifully compelling children's story about family, being different, fitting in and Love. The Cover is gorgeous is just draws me in. There is something very magical and calming about huskys. I can't tell you how much I adored reading this short story. I love huskys and wolf's so I knew this book was going to be special and I wasn't wrong. Huskys hold a very special place in my heart. I don't want to delve too much into the plot as it is a shorter read and so much happens I fear I may spoil it. What I will say is the illustrations are simply wonderful, a true representation of what's happening within the chapter. The story is told by Akea and her need to belong. 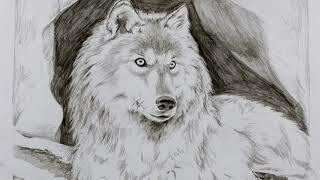 From a pup she has an encounter with a volk (wolf) and from that very moment she knew she was different. I was fully absorbed and wanted to find out what would happen next. It was action packed, heartfelt moments, laughter and warmth. The Young Author Elizabeth Jade has got her target audience spot on.... however I am 37 and I adored reading Akea, so I believe both children and adults will love reading it. There are a few subjects which some readers may find difficult but I do believe this is a great starting point to engage in conversation and discussions with younger readers. Such as animal abuse, being different, bullying and relationships. I highly recommend this adorable book in fact I've already bought a copy for My kindle and will get a copy for My younger cousin. I really hope that there will be more to come from Akea as I honestly didn't want to close the book! Thank you to Rachel Random Resources for this copy which I reviewed honestly and voluntarily. Have you ever considered what it actually means to be "different"? To step outside the norms of society and truly be yourself, despite the sideways glances, outright disapproval and criticism which may inevitably follow. To be true to one's self undoubtedly requires a fair degree of courage and fortitude. A willingness to persevere despite overwhelming odds. Now apply this concept to the animal kingdom. You will find that it is not really that much different. Various groups of animals have Have you ever considered what it actually means to be "different"? To step outside the norms of society and truly be yourself, despite the sideways glances, outright disapproval and criticism which may inevitably follow. To be true to one's self undoubtedly requires a fair degree of courage and fortitude. A willingness to persevere despite overwhelming odds. Now apply this concept to the animal kingdom. You will find that it is not really that much different. Various groups of animals have their own set of rules and norms and to step outside these could lead to a very swift demise. If such notions have sparked your interest, then Akea- The Power of Destiny by author Elizabeth Jade will be an absolute treat! The story is actually presented through the first person animal perspective of Akea. She is born into a family of sled dogs, but there is something very different about this particular Husky. Her father perhaps captures it best when he surmises: "Akea was different from the other pups. She felt special, even though he didn't know why." This uniqueness fully comes to light when Akea first sees a lone wolf by the name of Kazakh. It is then and there she realizes that her true destiny lies well outside the relative safety of her sled dog family. Akea proceeds to run away from home so that she can join up with Kazakh whose ultimate objective is to help her to discover her one true path. However, in doing so he must bend and break every rule and norm of the pack. Afterall, they will argue that Akea is different and a mere Husky who has no business running with the pack. What follows is the ultimate struggle for validation and survival. With Kazakh's help will Akea discover her true path? Or has her distinctness already determined her ultimate future as a veritable outcast? Without a doubt, I was entirely impressed with this story. The theme of being true to yourself was enhanced with the exploration of such notions as intolerance, bullying and ultimately love. The fact that this was all presented from an animal's perspective made it quite unique and all that more engaging. The tale was also action packed and literally kept this reader glued to each passing page. This author has an excellent handle on plot development. To make it even more impressive, the flow of the writing is smooth and beautiful and simply glides from one idea and passage to the next. There were a few potentially graphic scenes, but they were quite necessary in order to maintain the authenticity and believability factor of a story presented from an animal perspective. The characters in the story also get top marks. There is a good mix of wolves and huskies throughout. They all play their supporting roles well, but Akea and Kazakh are developed in the most depth. For instance, their relationship takes on a central role in the story and the budding love is palpable. Be that as it may, Akea in particular grows in the most depth and detail. Whether she is half-wolf, half-husky or not... the reader will find themselves identifying with and cheering on this furry protagonist. In particular, I found the relationship that Akea had with a variety of other characters, such as her sister Faith, to be quite revealing and emotionally stirring. Overall I simply loved this story. It is so smooth and beautifully written. The flow is fluid and seamless. Although this book is listed in a children's genre, I would recommend it to virtually any reader. I am 51 years old and I loved it! That being said, I can certainly see how younger readers in particular will identify with the compelling writing and contemporary themes. The ability to express one's own individuality is a well sought commodity...particularly in younger readers. I look forward to reading more work by this author! From the moment she was born into her husky family, her father Kelleher knew Akea was different. She somehow stood out from the rest of the litter even though Kelleher didn’t know why. He only knew she was special. As the pups grew and were able to play outside, a lone wolf appeared on several occasions and watched from a distance. Akea was intrigued and felt drawn to the wolf, despite the firm warnings to stay away from her parents. 'Akea would always scan the edge of the woods in case the wolf From the moment she was born into her husky family, her father Kelleher knew Akea was different. She somehow stood out from the rest of the litter even though Kelleher didn’t know why. He only knew she was special. As the pups grew and were able to play outside, a lone wolf appeared on several occasions and watched from a distance. Akea was intrigued and felt drawn to the wolf, despite the firm warnings to stay away from her parents. Akea: The Power of Destiny is a coming of age story which incorporates moral values such as honesty, loyalty, friendship and kindness. It’s a perfect book for children/young adults and actually anyone who loves animals. I enjoyed reading it, I’ve always been fascinated by wolves and love dogs. Wonderful illustrations accompany the narrative, giving a nice visual. I’m sure in a year or two, my grandson will love reading this book. This is a nice and short book to read, I really enjoyed it! The story is well written, it was easy to follow and I liked the combination of wolf and husky characters. The story is very engaging and I loved the setting and the pace of the story too. This book will be ideal for middle school children, young adults and above. 4 stars from me – an enjoyable story! Born into a family of huskies, Akea soon realises that she is no ordinary dog. When the wolf Kazakh begins to visit her, Akea feels strangely drawn towards him and the wolfpack. Elizabeth Jade is a young author who has a talent for writing stories. 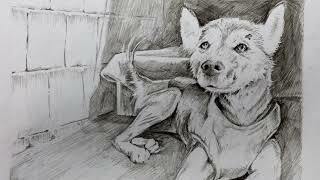 She has created a sensitive and heartening story that reminded me a lot of Jack London’s ‘Call of the Wild’. Her writing style is fresh and thoughtful with a good feel for plot and character. I loved the story arc, the language of the huskies and wolv Born into a family of huskies, Akea soon realises that she is no ordinary dog. When the wolf Kazakh begins to visit her, Akea feels strangely drawn towards him and the wolfpack. Elizabeth Jade is a young author who has a talent for writing stories. She has created a sensitive and heartening story that reminded me a lot of Jack London’s ‘Call of the Wild’. Her writing style is fresh and thoughtful with a good feel for plot and character. I loved the story arc, the language of the huskies and wolves, and the relationship between Akea and Kazakh. This is a charming tale that promises great things for more adventures – Elizabeth Jade is already working on Akea’s next adventure. This is a smashing first story from Elizabeth Jade... Great to read a book with such engaging animal characters and plot twists! I very much enjoyed it. Akea is a story which features huskies and wolves so I had to share it with my wolf-loving ten year old daughter. She has written her own review which you can find below my thoughts about the book. Akea - The Power of Destiny is only a short book but there's certainly a lot packed into it! We first meet Akea as a newborn pup; even then her father could tell that she was special although he wasn't sure why. Her early days are straightforward until a wolf appears. Their owner's gun scares it off bu Akea is a story which features huskies and wolves so I had to share it with my wolf-loving ten year old daughter. She has written her own review which you can find below my thoughts about the book. Akea - The Power of Destiny is only a short book but there's certainly a lot packed into it! We first meet Akea as a newborn pup; even then her father could tell that she was special although he wasn't sure why. Her early days are straightforward until a wolf appears. Their owner's gun scares it off but something changes within Akea and she realises she doesn't belong with the huskies. This is necessarily a fast moving story which sees Akea grow quickly and before long she has met the wolf, Kazakh once more. She begins to learn more about her destiny and discovers she isn't just a husky and has volk (wolf) blood running through her veins too. The pack lore and history is intriguing and something I can well imagine being expanded upon in further books. If I had to make a small criticism it would only be that I would have loved to have known more as the ways of the volk and their intertwined relationships with the huskies of the area is a fascinating premise and I feel would have benefited from being explored in a little more detail. The story is based on a series of adventures that Akea has, some of which are darker than others (there is one scene which may perhaps be a little adult for some children but actions are mostly hinted at rather than expressly described). I'm obviously not going to give away any of the story here but it's well written with vivid descriptions of both the animals in the book and the land they live in. Elizabeth Jade was only 14 when she wrote this book but she clearly already has the knack for writing exciting books in which her animal characters (humans are so secondary here as to be almost inconsequential) fulfil roles that allows them to retain their wild nature but still develop relationships that young readers will want to follow and know more about. I thoroughly enjoyed sharing a chapter or two a night with Maggie and the beautiful illustrations by Anthony Wallis are an added treat. 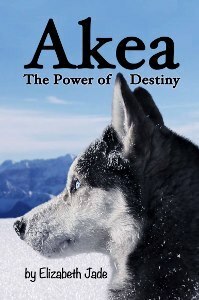 Akea - The Power of Destiny is an enjoyable book because I love stories with wild wolves and I liked how their personalities were shown in the story. I found the book a little confusing especially as the names are quite hard to pronounce but as it went on it became less puzzling. Kazakh was one of my favourite characters as he was brave and risked everything for Akea. My favourite character was actually one of the villains in this story because their actions were so shocking and evil! I read this on my own to make sure it was suitable for my daughter as she is slightly younger than the target audience of 8-12 year olds, as she is almost 5. I don't think some bits of it are suitable so had to skip them. Personally I would say the age recommendation is probably about right as there are some bits which younger children would probably not like much. The book follows Akea a husky who knows she is different to her siblings and parents. She doesn't know what until a wolf comes and I read this on my own to make sure it was suitable for my daughter as she is slightly younger than the target audience of 8-12 year olds, as she is almost 5. I don't think some bits of it are suitable so had to skip them. Personally I would say the age recommendation is probably about right as there are some bits which younger children would probably not like much. The book follows Akea a husky who knows she is different to her siblings and parents. She doesn't know what until a wolf comes and sees her, igniting something inside her that she can't contain. With this new found curiosity she leaves her family and follows Kazakh, the wolf into the unknown. From there the story really picks up and we follow Akea through all of her adventures and challenges she faces. On the day Akea was born it was clear that she was a special husky. When she sees a wolf in the forest she finds herself drawn to him against her parent’s wishes. After a fight between Kazakh and Akea’s father, Akea leaves with Kazakh. She learns that she has wolf blood in her and is very special. But the path that she is to walk is going to be hard before it gets better. This is a wonderful story that would delight any kid or parent. I love hoe Akea is special and although she has challenges ahe On the day Akea was born it was clear that she was a special husky. When she sees a wolf in the forest she finds herself drawn to him against her parent’s wishes. After a fight between Kazakh and Akea’s father, Akea leaves with Kazakh. She learns that she has wolf blood in her and is very special. But the path that she is to walk is going to be hard before it gets better. This is a wonderful story that would delight any kid or parent. I love hoe Akea is special and although she has challenges ahead of her she faces them and keeps growing to her ultimate role. There are traditions that are changed and pasts that need to be fixed. And although Akea faces the loss of someone close, she keeps fighting. I recommend checking out this books for kids or those that love mid-grade books. Also there are some beautiful drawings that really bring the story to life. I can’t wait to read more from Elizabeth Jade. I really enjoyed reading Akea by Elizabeth Jade! It was action packed and exciting to read with my grandchildren. I enjoyed how she incorporated family values into a children's book! Well done Elizabeth! A short yet satisfying tale about finding your own destiny and being true to your nature. Akea was special from the moment she was born. She had obstacles to overcome but she never gave up. I really enjoyed this book. I heard about this book on Facebook, Ideas4writers. The author's mother was letting people know that her daughter's book was for sale on Amazon. The author, is only 14, but that is not to say this book is just for kids, I loved this story. It had several twists that I did not see coming. There were some grammatical errors, but they did not bother me as I read page after page. Elizabeth Jade, in my opinion, is an author to watch. Considering how stripped back the writing & plot of this book is, I thoroughly enjoyed it - I found myself engrossed in the story from the outset & before I knew it I’d finished it. Other than one scene that I felt was a little inappropriate, this book is great for young readers that have a love of a snow dogs & wolves. I was sent this book by a blog tour organiser in return for an honest review. Akea was an great adventure story, complete with fantastic illustrations. I loved reading Akea's adventures, and her adventures. Of course, my opinion is of course biased from my life-long love affair with Huskies and Wolves. This book is full of both! I look forward to sharing this story with my children, which is of course the best review I can give any title. This book is great! Animal lover’s will really enjoy following Akea on her amazing adventure. This book was fantastic! A well written coming of age story by a talented author. Highly recommended read, cant wait for more! A great little book. Well worth a read. I enjoyed reading this short children's story. I've found it via Book Connectors group in Facebook. And I'm glad I read this. This story is about a husky Akea, who's intrigued by the strange wolf that often visits her. When she learns her owner is going to sell her, she takes off into the forest to be with the strange wolf. There she learns her connection with the wolves and trains hard to become a part of them. But turns of events isn't favorable for her. She must fight against the o Lovely read! There she learns her connection with the wolves and trains hard to become a part of them. But turns of events isn't favorable for her. She must fight against the odds to reach her true destination. I loved the couple Kazhakh and Akea. They both are made for each other. I loved how the events turned out and Elizabeth has done a great job. Wow what an epic journey in such a short time, this book is truly amazing. The characters are varied and the atmosphere of the book is a good range. This goes to show that, the things that make us different are the things that propel us forward. Truly magnificent. Akea- The Power of Destiny is a short book that can easily be read in an hour or so, but what an enjoyable hour it will be. I loved the story of Akea, a working husky who unknowing to her, also has some wolf in her. I really don’t want to give the story away but what you will get is a wonderful story of love and friendship and loyalty, but also about being ourselves. I gave Akea to my nieces to read, they are nine and ten. The ten year old felt that she was too old for the book, but she’s at that Akea- The Power of Destiny is a short book that can easily be read in an hour or so, but what an enjoyable hour it will be. I loved the story of Akea, a working husky who unknowing to her, also has some wolf in her. I gave Akea to my nieces to read, they are nine and ten. The ten year old felt that she was too old for the book, but she’s at that stage where she’s desperate to be a teenager and so a lot of things are too young in her mind. I asked her what she didn’t like about the book and she could literally think of nothing. The nine year old loved the animals and the characters and thought that it was a short but great read. It still surprises me that I wrote this. It's so hard to put down once you start reading. There are some unexpected plot twists and the dramatic readings videos really give you a touch of atmosphere when reading the actual book. I'm busy working on editing book two.